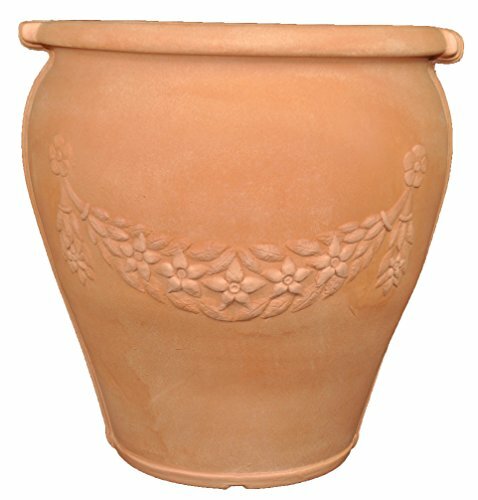 Tusco Products strives to provide the classic look of clay and natural stone pottery without the expense, cracking and heavy weight associated with traditional clay planters. Mediterranean inspired, this garland urn is the color of faded terra cotta, to look like it has aged in the hot Tuscan sun. It is made of lightweight, rotation molded plastic. The planter is unbreakable, and can withstand all weather elements. Comes with drain plugs undrilled. A 10 year warranty against manufacturer defects is included.